What is an Advanced Placement Courses? The Advanced Placement courses are only found in the United States and Canada. This program is created by the College Board to offer a college-level curriculum and examinations for students in high school. The program provides credits to students who have advanced knowledge and skills in certain subjects. If the students finish the program and passed the examination, the colleges and universities supporting the program will grant placement and course credit. Various subjects included in the program and examination has a specific AP curriculum designed by the College Board. The board is composed of highly competent individuals who work as college educators with specific expertise. Advanced Placement courses are college-level courses that can be taken by students in high school. Usually, the school offers these courses to students who are in their honor’s program, to those who have completed all the high school courses or to anyone who have high scores during the examination. 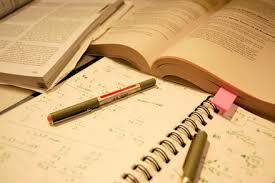 These courses are usually courses in English and mathematics; however they can be any subject. The courses are more meticulous as compared to high school courses since they are usually offered in college. As long as the students are able to finish the course with good grades, they will receive college credit for taking the courses. However, not all colleges grant students college credit for the courses. Some say that the AP courses only add stress to high school students. But you can’t take away the benefit the student will get once they finish the course. They will get a credit and will likely pay less when they go to college as well as save time. The Advanced Placement Courses are a great program and provides many opportunities and experiences for many high school students. Author ErikPosted on November 20, 2014 November 20, 2014 Categories UncategorizedTags advanced placement, Advanced Placement Courses, Advanced Placement Courses Empowerment, Advanced Placement Courses Enrollment, Advanced Placement Courses Exam, Advanced Placement Courses Exam Prep, Advanced Placement Courses Exams, Advanced Placement Courses Restriction, Advanced Placement Courses Role, Advanced Placement examination, Online Advanced Placement Courses, What is an Advanced Placement Courses?Leave a comment on What is an Advanced Placement Courses? An AP exam costs $89 these days and when learners take lots of these classes, cost can really load up. 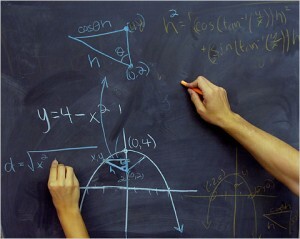 Advanced placement course are rich with possibilities. They offer dissatisfied honor students with a more challenging intellectual environment. They allow college candidates to happily litter their transcript and resumes with courses considered extensive by admission authorities. They can even permit learners with great ratings on the AP examinations to earn college credit in high school, saving money and time later. But with those opportunities comes a price. Not a monetary cost, but a price in terms of time, tolerance, and peace of mind. To succeed in advanced placement courses, learners have to be entirely dedicated to achieving their goals in such a class and be willing to read voraciously, write regularly and study industriously. These objectives result in lost time, eagerness (and even anger) and pressure at different degrees throughout the course. That being said, AP is totally beneficial. Not for their college credit opportunities or their appeal on programs, but for the intellectual stimulation they offer for the future. Advanced placement courses reveal learners to the level of reading, writing, studying and thinking that will ultimately be expected while attending college and the pressure that will go along with the academic work. Regardless of the school credit that one actually gets, AP programs undoubtedly will assist learners in their pursuit for a degree; they minimize the shock of college expectations. The AP experience can be extended beyond college study. The close evaluation of relevant details in each AP discipline better shows learners of how the world works. For instance, teachers’ labor unions immediately remind you of socialist reforms in response to British industrialism. Education and learning improves one’s life experience and the College Board has provided an outlet for learners to receive an excellent education at an earlier age. 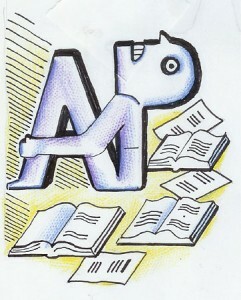 Advanced Placement Credit: A qualified person who has taken school level work in high school may get academic credit. Examinations used to determine advanced placement are the Advanced Placement Test of the College Entrance Examination Board and The Achievement Tests in English Composition and Intermediate Mathematics (Level 1). A last determination of credit is made after results have been assessed by the college. A student may take challenge examinations before enlisting, yet will usually get credits for courses tested just after successfully finishing six semester hours. 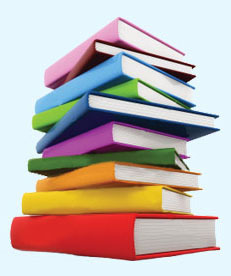 Courses in which a learner is or has been enlisted may not be tested and courses which require demonstration and provision of skills (useful, lab sciences and courses requiring field work or execution, for instance) may be tested just with the authorization of the director of the office offering the course. There is usually a $5 per credit hour charge for departmental “challenge” exams. 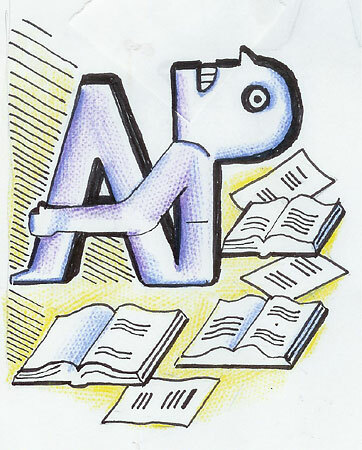 The Advanced Placement (AP) is a program in the United States and North America designed by the College Board, providing college-level courses and exams to kids. United States universities often allow placement and course credit to learners who acquire high grades above a certain number on the exams. The AP program for the various topics is designed for the College Board by a panel of professionals and college-level teachers in each topic. For a secondary school course to have the AP status, the course must be audited by the College Board to determine it meets the AP program. If the course is accepted, the university may use the AP status and the course will be openly listed on the AP Ledger. The Fields, well-educated African Americans, believe the college has restricted their little girl’s improvement because of competition and, with other parents, are planning a court action. Fifty six percent of Columbia’s learners are black, yet only 14.4% took Advanced Placement Courses in Calculus. The Washington Post reviews that some educational institutions limit Advanced Placement courses access to show a high rate of success, while some good students in math, science and engineering are losing out. Possibilities keep increasing for kids to have greater access to college-level advanced placement courses throughout Des Moines, as the school district will be providing new programs at Central Academy while continuing other AP programs available at all five extensive great academic institutions. These changes result from significant registration increases the school district has seen recently in advanced placement courses as both learners and instructors have stepped up to meet the task of this college-level program. DMPS is pleased to declare, for the first time ever, four new AP programs to be provided to Des Moines learners through Central Academy beginning with the 2014-15 school year: AP Art History, AP Computer Science, AP Microeconomics, and AP Spanish Literature. These new AP promotions are unique, specific programs that will be available only at Central Academy to be able to provide access to all DMPS learners. (Previously, AP Art History and AP Microeconomics were available only to learners at Roosevelt High School.) In order to accomplish the growth of their advanced placement program at Central Academy, DMPS will reduce some replication of AP programs. From 2014-15, AP Environmental Science, AP Statistics, and AP US Government will no longer be provided at Central Academy but will continue to be provided at all five comprehensive high schools. The College Board, a not-for-profit account company dedicated to quality and value in education with a goal to link students to college achievements and opportunity, lately granted 21 Sauk Prairie High School students for showing college-level accomplishment through advanced placement courses and examinations. Sixteen members from the class of 2013 and five members from the class of 2014 qualified for these distinctions. Recipients of the AP Scholar award, granted to students who get grades of 3 or greater on three or more advanced placement examinations, are Casandra Bradley, Emma Kreitzmann, Abigail Liverseed and Andrew Stangl for the class of 2013, and Rachel Leege for the class of 2014. Recipients of the AP Scholar with Honor award, granted to students who get an average ranking of at least 3.25 on all advanced placement examinations taken and grades of 3 or higher on four or more of these examinations, are Michaela Pfeiffer-Mundt and Brendan Sullivan for the class of 2013, and Sue Albers, Bailey Breunig and Lianna Mack for the class of 2014. Recipients of the AP Scholar with Distinction award, provided to students who get an average ranking of at least 3.5 on all advanced placement examinations taken and ratings of 3 or greater on five or more of these examinations, include Dallas Breunig, Kassandra Hodges, Chloe Johnson, Tara Loether, Elizabeth Molitor, Angus Mossman, Anthony Renger and Zoey Shultz for the class of 2013, and Tyler Ballweg for the class of 2014. The receiver of the National AP Scholar award, provided to students in the United States who get an average ranking of at least 4 on all examinations taken and ratings of 4 or greater on eight or more of the advanced placement examinations, is Anthony Renger for the class of 2013. 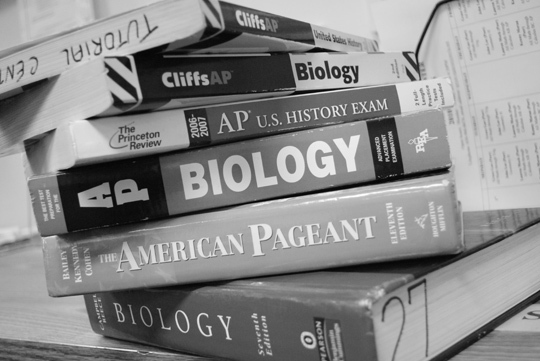 Advanced Placement courses encourage students to get a feel for the rigors of college-level studies, while they are still reinforced in the Sauk Prairie High School environment. When students take AP programs, they illustrate university entrance authorities that they have sought out an academic experience that will prepare them for achievements while attending college and beyond. Jefferson County Public Schools is constantly on the pattern up-wards in the number of learners enrolled in Advanced Placement Courses and taking the associated examinations. 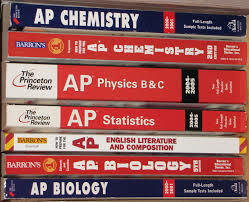 In JCPS, about half of the AP assessments taken obtained ratings that allow learners to earn higher education and learning credit at many higher education and learning institutions, an advantage of the advanced placement course program, but the passing rate dropped this season after several years of benefits. JCPS authorities say that is likely because the region has targeted on increasing the advanced placement course contribution of learners and now, it’ll need to focus on issues such as instructor planning that support learning within those programs. “Kids cannot do well on the test unless they take the class,” says Pam Royster, the district’s higher education and learning and career ready professional. The number of learners taking AP examinations improved 4.2% last school year from 4,952 this year to 5,160 in 2013. The number of assessments taken (one college student can be registered in several AP programs and take several AP exams) also improved 3.6% from 7,762 the season before to 8,043. But the passing rate reduced by 1.9 percentage points to 47.8% in 2013. “We’ve definitely got some work to do to make sure we’re covering the content and we’re going deeply enough for kids to be successful on the test,” Royster says. Last school year, JCPS signed up with the state-wide Advance Kentucky effort that helps provide training and resources to instructors and schools to increase the number of AP contribution. That program has been recognized by the state and region as having had a significant effect on AP enhancement. Last year, Valley, Moore and Waggener high schools started participating in the Advance Kentucky. Fern Creek, Southern and Seneca high schools signed up with them this year. The system, says Royster, is a multi-year effort to develop instructors and supports, so it could take time to see its effect. The number of Sioux Falls learners getting advanced placement courses decreased almost 8% last school year over the year before, partially because of an overall decrease in secondary school registration, authorities said. Slightly more than 2,000 learners registered in advanced placement courses in the Sioux Falls School District last school year, down about 170 learners from the year before. The figures were provided to the Sioux Falls School Board. Officials said the figures drop in range with the pattern the district has been seeing over the years and are not a big issue. “The comfort is, this year’s performance decreased in range with the long run,” Superintendent Pam Homan said. Board member Todd Thoelke said he would like to see more children using the programs. “It’s a great program and I know the dedication from learners is remarkable. It gives them a glance inside the world of higher education,” he said. “It also gives them a step up for when that day comes.” Students are provided a wide range of different advanced placement courses, with the program determined by the company College Board, covering composition, history, geography, chemistry and Spanish, among others. Some classes are provided during the school day in a class room, but others are provided online, which can help learners who cannot fit a particular class into their schedule. At the end of the course, learners have the choice to take an AP examination. Test results are reported on a range of 1-5 and learners must accomplish a grade of 3 or greater in order for the course to be regarded for college credit. Last school year, 70% of Sioux Falls learners who took an AP examination passed. The national passing rate is 61%. There is benefit both for learners to take the examination and educational institutions to motivate their learners to do so, said Laura Raeder, high school curriculum coordinator for the school district. 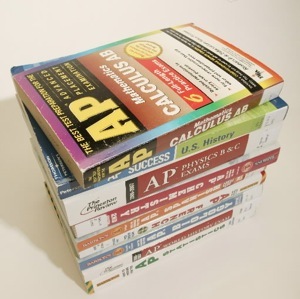 Students can take the AP examination at a price of $87, generally less than the price of a college credit. The district subsidizes the price for learners who have financial need but are not eligible for support through other means. While educational institutions across the nation continue to improve the quality of training and learning offered to learners, one charitable organization that analyzes achievement notices that many learners who graduate are not prepared for college-level programs. In a review released, about three-quarters of the learners who took the ACT assessments did not achieve the ability needed in studying, math, English and science, according to a research of the results by the Associated Press. Schools perform a big part in identifying how prepared learners are when they go off to college or business educational institutions. But learners and parents also perform a big part. Developing strong study habits early in a kid’s school years can serve them well down the road and parents who take an active part in their kid’s education and learning can repeat the importance of learning. Dedication to educational institutions also comes from the community and local government authorities that finance them. Schools that are able to offer more advanced placement courses help more learners prepare for their college years. The latest ACT review on student accomplishment shows areas where we need to focus additional attention. Schools should not be assembly lines that learners are forced through without getting the training and learning they need to help them be successful in college or a trade school. Plus, as the cost of college increases, those remedial sessions add to the quantity that learners and families will be paying. We need to invest in our educational institutions, provide learners the tools they will need to be successful, offer advanced placement courses and ensure that when they graduate high school, they are prepared for their next step.